Finally,one of the top prizes in mathematics reached the hands of a woman. Her studies include the complex shapes of soap films not in a bubble bath but in abstract, high-dimensional curved spaces. 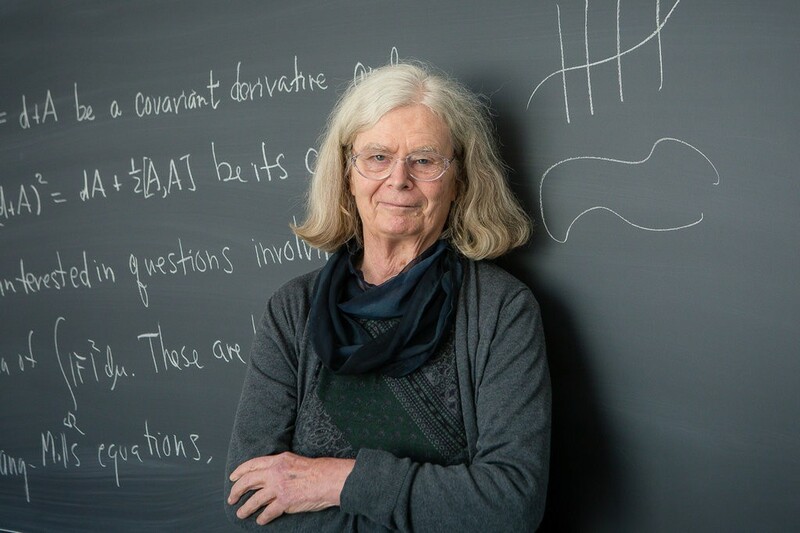 In later work, she helped put a rigorous mathematical underpinning to techniques widely used by physicists in quantum field theory to describe fundamental interactions between particles and forces. “Looking back now I realize that I was very lucky,” she said. “I was in the forefront of a generation of women who actually could get real jobs in academia,”said Karen. There is no Nobel Prize in mathematics, and for decades, the most prestigious awards in mathematics were the Fields Medals, awarded in small batches every four years to the most accomplished mathematicians who are 40 or younger. Maryam Mirzakhani, in 2014, is the only woman to receive a Fields Medal. The Abel, named after the Norwegian mathematician Niels Hendrik Abel, is set up more like the Nobels. Since 2003, it has been given out annually to highlight important advancements in mathematics.